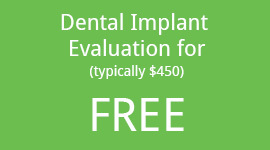 Top Dental Implants Available in Kountze, and Woodville! Dental implants are a popular and dependable way to replace missing teeth – and with good reason. By acting like your natural tooth roots, implants are long-lasting supports for dental prosthetics that make your smile whole again. At All NeedZ Dental, our comprehensive oral health services include restoring smiles with dental implants in Kountze, and Woodville, TX and the greater Hardin County. 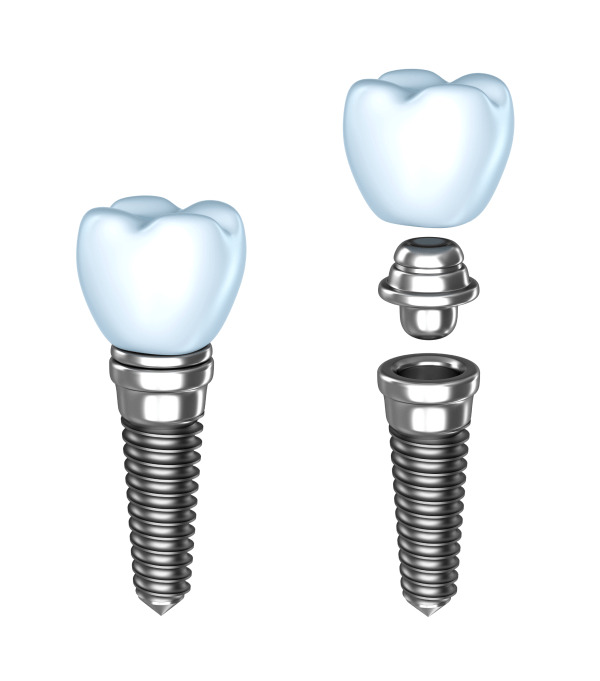 Full-Sized Implants – Traditional dental implants include a post, which looks like a small screw and an attachment piece called an abutment. Full-sized dental implants are most often topped with a dental crown to replace a single missing tooth, but can also be used in groups to support larger restorations, such as multiple unit dental bridges and dentures. Mini Dental Implants – The post portion of mini dental implants are typically smaller in diameter than full sized implants and are most often used to stabilize full dentures. Mini implants can be utilized for patients who are dealing with bone resorption, or low bone quality, at treatment sites. These smaller versions of traditional implants also require less complex implantation methods and can be a more economical treatment choice for patients who require full mouth restoration. Same-Day Implants – If you have damaged teeth that require extraction and do not wish to deal with the hassle of removable temporary prosthetics, Dr. Worsley can provide same-day implants at All NeedZ Dental. Our one-visit implant treatment process involves removing severely damaged teeth and adding your new implant post in one session. You’ll leave our office with a new tooth root and a life-like dental restoration to make your smile complete. While many patients believe that implant placement is an extensive or uncomfortable procedure, this is not the case. Once a natural tooth is gone, there’s no nerve in the jaw bone, which makes implant surgery easier than you might imagine. Dr. Worsely takes care to thoroughly numb soft tissue at the treatment site before beginning. Sedation dentistry can be provided, if necessary, however our implant processes are so non-invasive that it is often not necessary. Dr. Worsley and his dental team are able to utilize dental implants to replace any number of teeth that are missing from your smile. All NeedZ Dental supplies single implants topped with dental crowns and can also place several dental implant posts to support larger restorations, such as multiple unit bridges or full permanent dentures. Our team is happy to serve many senior patients who come to us with loose, uncomfortable removable dentures and are looking for a way to stabilize their prosthetic teeth with implant dentures. Depending on your needs, our implant restorations range and can include a variety of permanent dentures options. For more information about how dental implants can help you get the healthy and whole smile you want, contact our Kountze implant dentists today. All NeedZ Dental offers several locations in Hardin County and beyond to serve your implant dentistry needs, including Silsbee and Woodville.